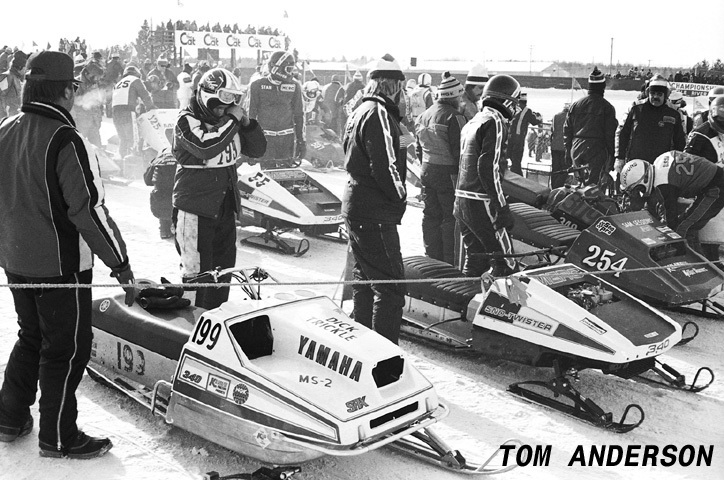 VintageTwister.com ~ There's A Storm Brewing... Vintage Mercury Sno Twisters and Trail Twisters and the Vintage Mercury Racing Days of Doug and Stan Hayes ~ Courtesy of Track N Trail Sled Shop, In Crandon, WI. 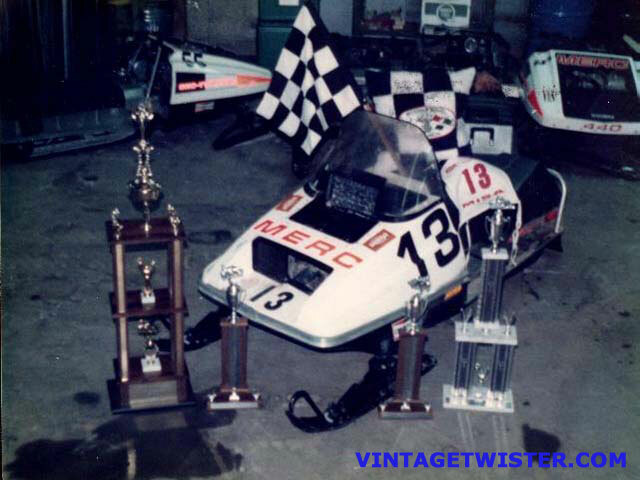 Next on the table will be a loose interpretation of the Soo sled Mercury Racing won with in 1976. Click the image to go to the build section and check back often for new images of the progress. This is a 65-70mph pass, top speed so far is 80mph registered on a SpeedChek. The weather ruined my playground (lake) early and with a little snowfall lately, I was finally able to get out and tweak. Around 50 miles logged on the IFS MERC project. 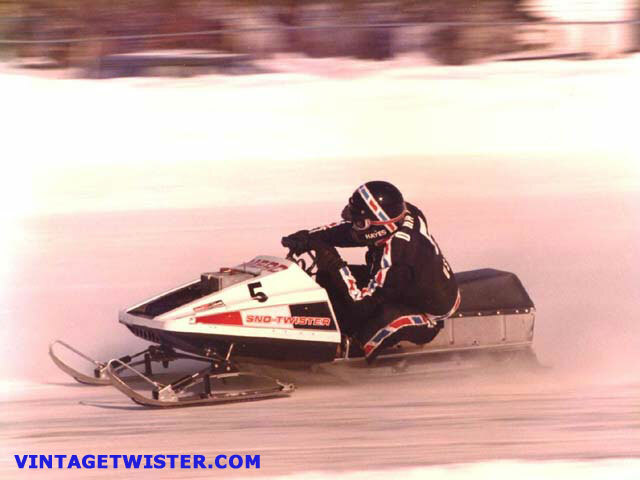 This sled was constructed of a 71 Panther tunnel, reproduction fiberglass & seat, homemade bulkhead and independent front suspension with Fox Float shocks. The rear skid is bits and pieces from a Merc and 90's Arctic Cat. The type 470 rotax spins a Trail-Twister track through Arctic clutches. Bob Mendlesky, formerly of Mercury Racing, forwarded a couple of nice images to share. Click on the image to go to the 1975 and 76 race season images or click on "image one" or "image two". I was lucky enough to get to rub elbows with the crew from the days of racing that fascinates me the most. 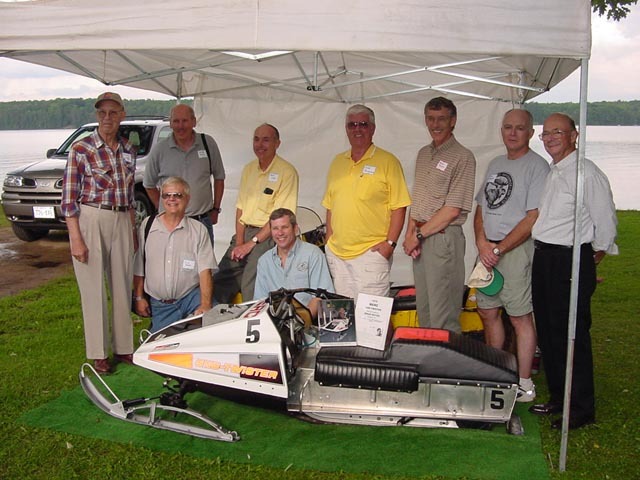 Click here to jump to some images of a MERC reunion held near Crandon, WI on August 10th. A new F2 added also. A big THANKS to Mr. Doug Hayes and family for allowing me to share these pictures with you. Doug spent a few hours one evening doing some story telling so I could also include some information to go along with the images. 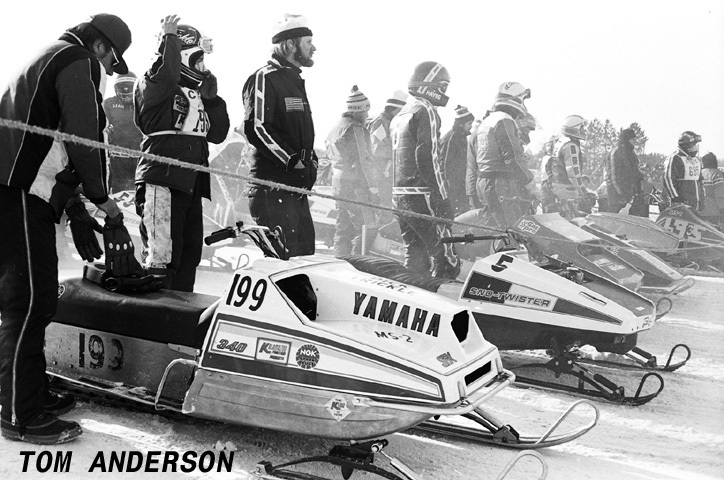 Click on the image to go to the new Mercury Sno-Twister Racing page. This is a weather radar snapshot from the last time Perry was seen out drag racing his Trail Twister on Lake Metonga!! Would ya look at the hook he whipped up that day! !